Xena (Lucy Lawless) must battle the fierce woman warrior Callisto (Hudson Leick), who is bent on revenge for the death of her family. 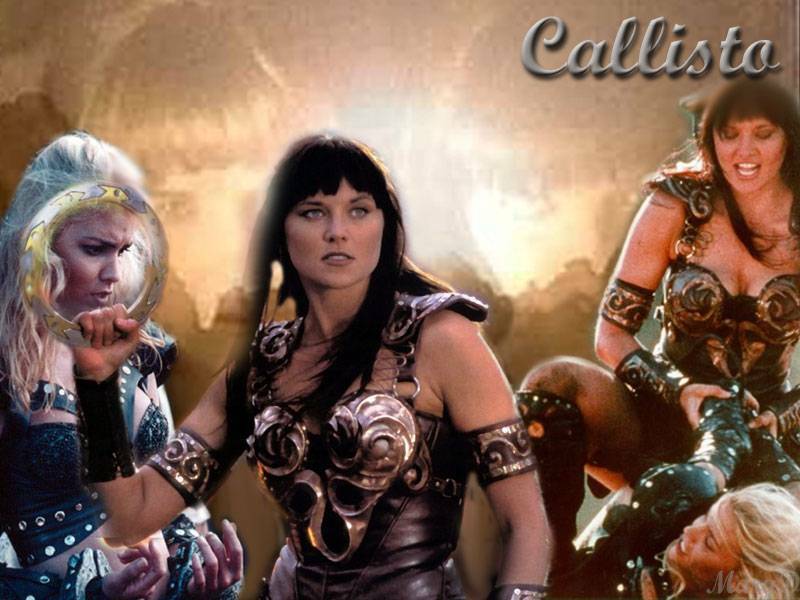 Callisto...the child who survived Xena's army and grew to become the deeply damaged warrior. There is something totally fascinating about Hudson Leick in this role. She OWNS it. From the moment you see her on screen she owned that role. Everything about Callisto was fascinating. Up to this point in the series we didn't see many who could match Xena's warrior skills (Herc doesn't count). Along comes this warrior out of nowhere who not catches Xena chakram but matches Xena's warrior skills. That was mind blowing. The scene that totally blew everyone away was, of course, the firepit chat. That scene launched a thousand fanfic stories ...the firepit scene where Xena reveals to Gabrielle about Cirra. Wow. Gabrielle asks Xena never to return to the bloodlust if anything happened to her. Wow. Simply wow. Xena Warrior Princess, the show, was blessed with two actors who were/are simply incredible. This scene is just superb in an episode that was superb. And before this mini review ends, let's not forget Joxer...the lovable goof. My initial reaction to Joxer so many years ago was that he was the Xena equivalent of a redshirt. I didn't mind him. Didn't mind that he was after Gabrielle either. Poor Joxer was never in the hunt anyway, not with Xena around. Next Week the DUD of Season 1, Death Mask. Maybe seeing it for the second time will change my mind. Miracles have happened before.